Old telephones are our hobby and our passion. We sell only quality original telephones whether you interest is wood wall phones, candlestick telephones, rotary telephones and even touch tone phones. These phones and old telephone parts we sell are generally purchased by collectors, hobbyists and telephone restoration people as well. Antique telephone collecting has grown considerably in the last decade. In the early days All the telephones were owned by the telephone companies such as Western Electric telephone and Automatic Electric telephone company. They were subscriber sets rented out to the general public. They were well designed works of art which worked well. Wood wall phones, candlestick phones and other rotary dial phones from the 1920s to 1940 were made extremely well and can be used on today's modern systems. Nothing can match their Art Deco styling and reliability. Old Phone Shop has been doing business supplying happy customers in the USA and all other parts of the world Antique phones and Antique telephone parts. We strive to get you the old phone parts you need and we guarantee 3 day shipping to your door whether it would be Antique cloth covered telephone cords or rotary telephone parts or dials. We have what ever you need so do not be afraid to ask us for something. Antique telephones sold by us are guaranteed to be the finest available. We have been in this hobby for over 20 years now and have many satisfied customers to prove it. Old telephone repair and restoration is also something we truly enjoy. We have done many repairs and restorations thru out the years and we still continue to do so. 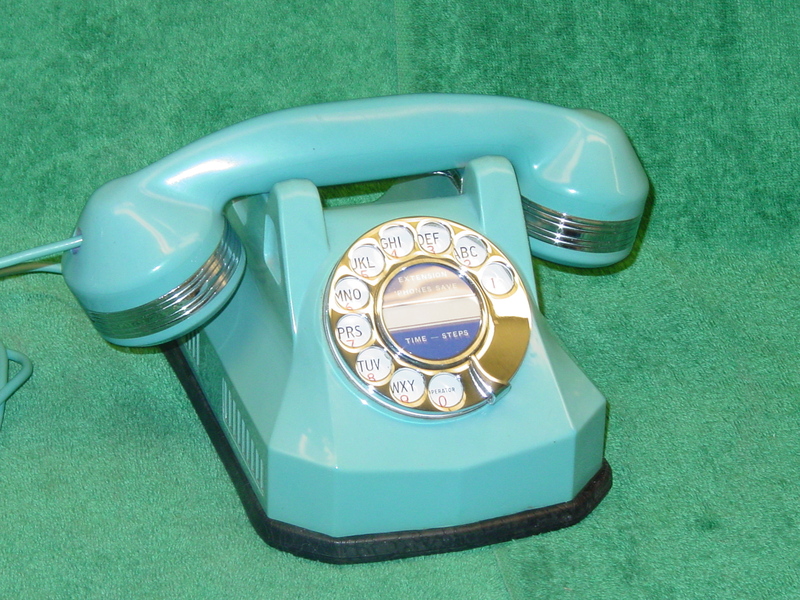 We have a rotary dial repair service and we do chrome plating for your telephone restoration needs. The telephones we sell are fully refurbished original and go thru many processes that make them into something that is either as good as new or in some cases better than new. We hope to make you one of our satisfied customers. Old Phone Shop will buy your old telephones. We have interest in all old phones and phone parts from the early 1900s to 1960s and will pay you a fair price. Dont be afraid to contact us on our Contact Us page.